For a few years now, Latinos Go Green founder Rudi Navarra has been spreading the word about climate change and conservation, using tactics from tapping into networks of Latino community leaders to telling individuals to upgrade their light bulbs. To Navarra, Hispanics are, by default, conservationists who care about their environment. “In general, every mother and abuelita (grandmother) I knew of would reuse everything 10 times. Part of that was economics, but also, it was trying not to waste things,” said Navarra, a Fort Lauderdale, Fla., resident who is from Colombia. It was with dismay then, Navarra said, that he listened to his home state Senator Marco Rubio's recent comments: “I do not believe that human activity is causing these dramatic changes to our climate the way these scientists are portraying it,” Rubio, a Republican, said in an ABC interview. According to Navarra, the comments were counterproductive. “The way I see it you are either part of the problem or part of the solution and at this point, I think Sen. Rubio is being an obstructionist for political reasons. It’s not helpful to the Hispanic community, really,” he said. Climate change didn’t register as a top issue for Latinos polled by Pew Hispanic Center in October 2012. But two polls of the Latino community, one by the National Council of La Raza and the Sierra Club and another by Latino Decisions in partnership with the National Resources Defense Council, found heavy support for action on climate change and for steps to be taken to tackle it. Environmental activism often manifests in the Latino community when a polluting industry is located or plans to locate nearby, when a neighborhood lacks green space or in connection with pesticide use and farmworker health. Guido Franco, a convening lead author of the National Climate Assessment's Southwest Chapter, said the melting snow pack in the Sierra Nevada that provides the area with water is diminishing. California, where 14.4 million Latinos live and are about 39 percent of the population, could see a 34 percent reduction in the snowpack by 2050 and by more than 50 percent by the end of the century. Some states are adopting measures to respond, such as a California mandate that 33 percent of its electricity be generated by renewable sources by 2020, Franco said. "There are win-win strategies that will help us now and will help us adapt to a changing climate" said Franco, citing as an example the planting of trees to reduce the heat levels in urban areas. Rubio’s skepticism regarding human contribution to climate change followed the release of two major reports that said that severe climate changes we are experiencing and will experience are driven by human activity. After taking some hits over the comments, Rubio dropped reference to the role of human activity at a recent National Press Club event and said he supports taking mitigating steps that don't harm the U.S. economy. Rubio’s office declined a request from NBCNews.com to elaborate on his original comments. 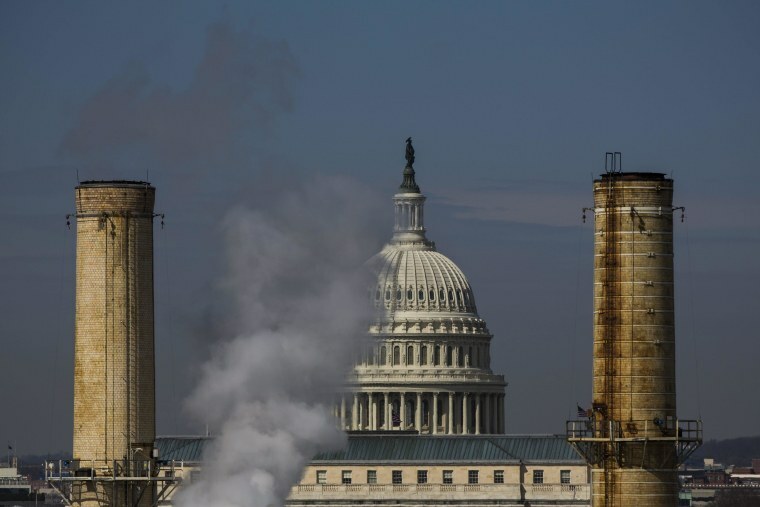 Hector Barreto, founder of the Latino Coalition, a Republican group, said Rubio is right in considering the effect on the country’s economy before adopting climate change responses. But he said the climate change issue isn’t going to be a big issue in the 2016 presidential race. Rep. Raul Grijalva, D-Ariz., an ardent environmentalist, called it “craven” to ignore ongoing examples of climate change to gain political advantage for the 2016 presidential race, which he said Rubio was doing to win conservative support for the GOP nomination. Scientists have made a more than convincing case of the need for mitigating steps such as capping carbon emissions, which Rubio tried to do while he was Florida’s House speaker, Grijalva said. Navarra, the Latinos Go Green founder, confronts economic realities regularly in his efforts to bring along Latinos. Many people he talks to work two jobs to make ends meet and the policies behind climate change are not their priorities. But that doesn’t deter Navarra.